Many of the medications adults take can cause dry mouth, and less saliva can mean more bacteria and the possibility for more cavities. *Many patients are unaware that tobacco use (smoking or chewing), alcohol consumption, STD’s, excessive sun exposure to the lips and a weakened immune system can all lead to oral cancer. Oral health is an important part of adult general health and well-being. 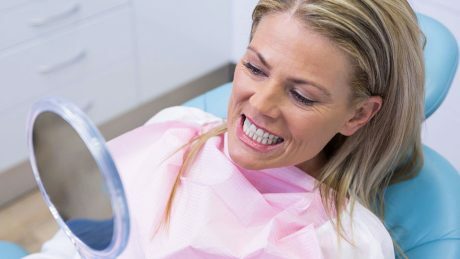 Your Wooster dental team provides expert preventative care and screenings, restorative and cosmetic dental care, and dental emergency care. We employ advanced treatments and state-of-the-art technologies to provide you the very best dental outcomes possible. Wooster Dental is the ONE for Adults. "I absolutely LOVE coming to this office. Awesome customer service, everyone is very pleasant. I always have a great experience."